The holy grail for many or most filmmakers and novelists is the brilliant, funny, sad trifecta. Some have achieved it, others it has eluded. 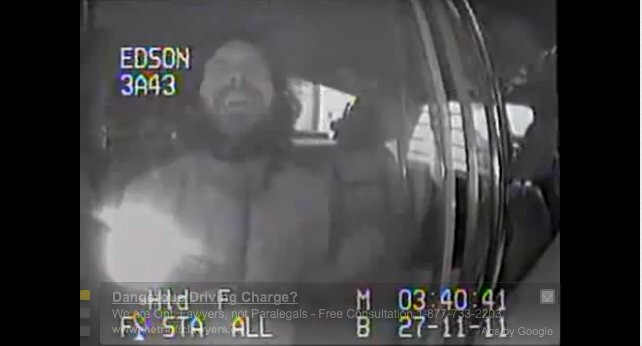 But all should take note and watch this hairy drunken man perform the whole of Queen’s “Bohemian Rhapsody” in the back of an RCMP car. “It has nothing to do with having been sort of intoxicated, as YOU PROCLAIM!” he argues. “It has to do with brotherhood of man on the Planet Earth,” before launching into a forgiveably off-key and shouty rendition of the classic. As one YouTube commenter pointed out, it would have been made perfect by the cop joining in for a “Let me go!” “Will not let you go!” exchange. Wonder how this all turned out, who he is and who originally posted the video…. Previous The Peek Freans song! They’re serious. VERY SERIOUS.